I'm not an artist, so doing something like Hate Mail was out (at least, for now - I also don't know if I can or want to be that hateful). 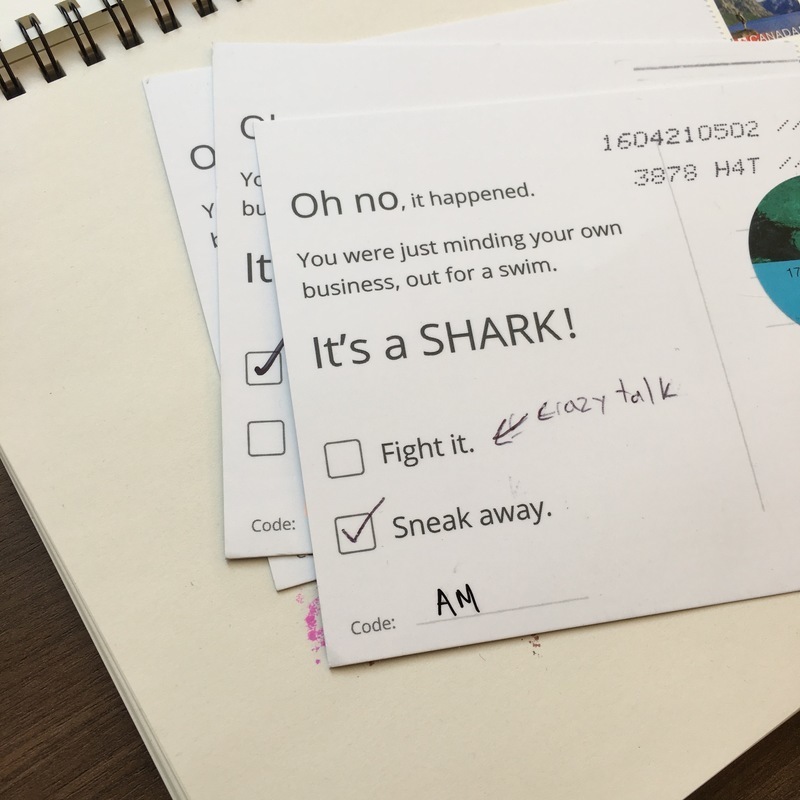 1) I send you the first postcard, which is addressed back to me and has the beginnings of the story on it, along with checkboxes to decide what move you'd like to make. 2) You select a decision and then mail the postcard to me. 3) I receive the postcard, and send it back to you along with the next postcard in the series for the decision that you chose. This process repeats until you get to an ending. 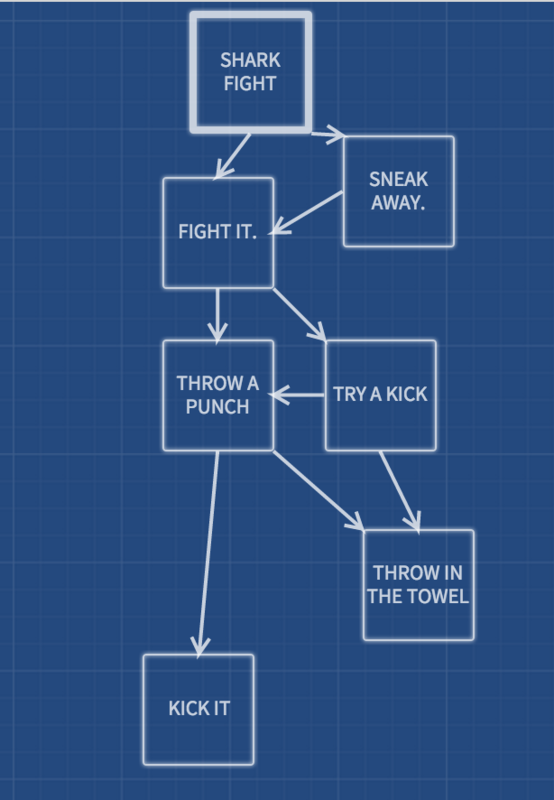 I'd been looking for an excuse to try out Twine, so this worked out perfectly. After that I spent a night finding creative commons photos on Flickr that I could use for the fronts of my postcards, and then I was in business. In order to get addresses for people to try it out, I posted a Wufoo form on Twitter and in the internal classifieds system at work. It worked! 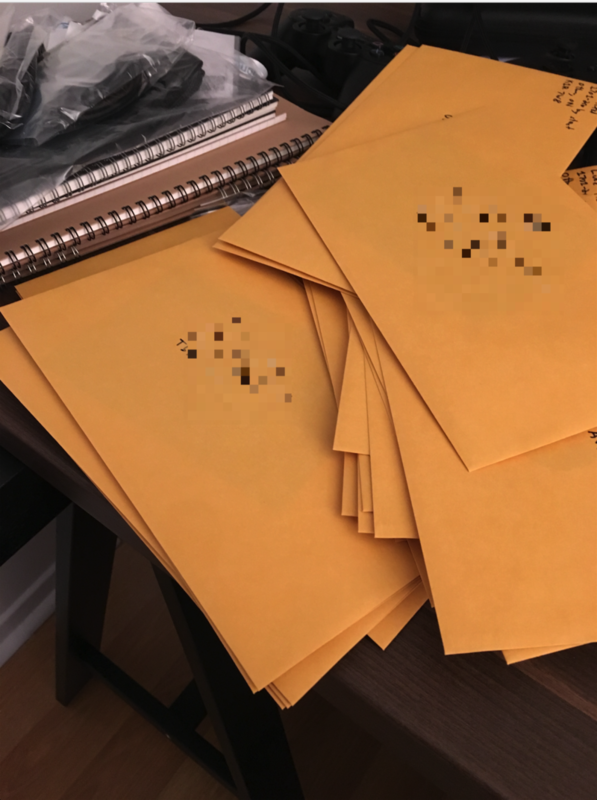 A bunch of people I sort of know gave me their addresses, with no idea what I was about to send them. Then I did nothing for a month and a half. 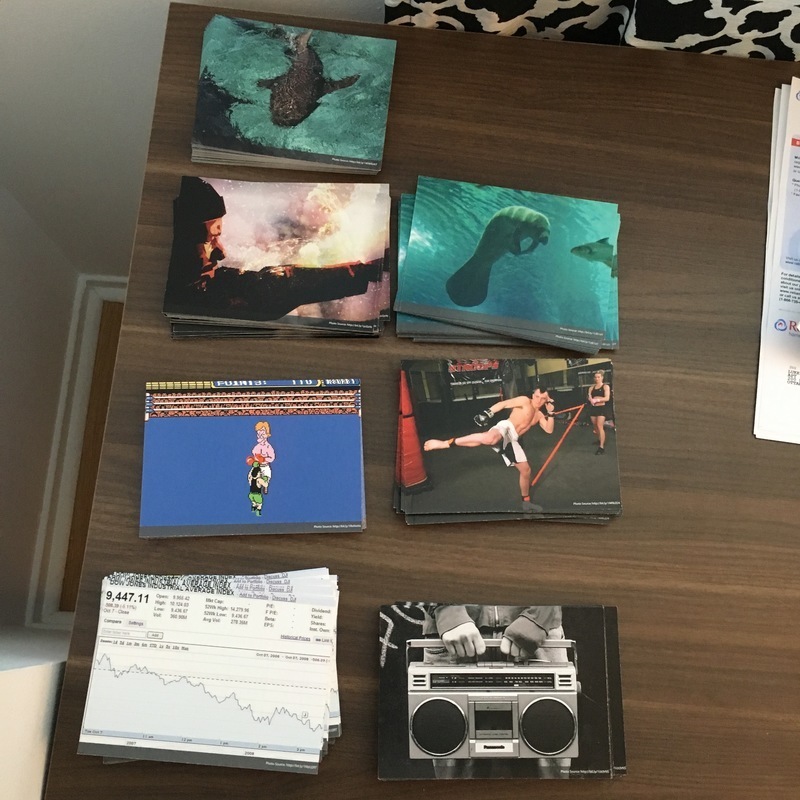 I had decided to use Moo (click here for 10% off a first order) to print my post cards, because they were who I knew best for on-demand printing (and their print quality is great). However, because what I needed to print wasn't your typical post card (I needed to hard-code the front and back), I needed to design the fronts and backs of the postcards myself. They have handy templates for this, but I'm not really a great designer or super comfortable in design software yet, so I got nervous and procrastinated on this for a while until finally just hiring my friend Shelley to do it for me. I think the process I had put off for three weeks took her an hour or something. 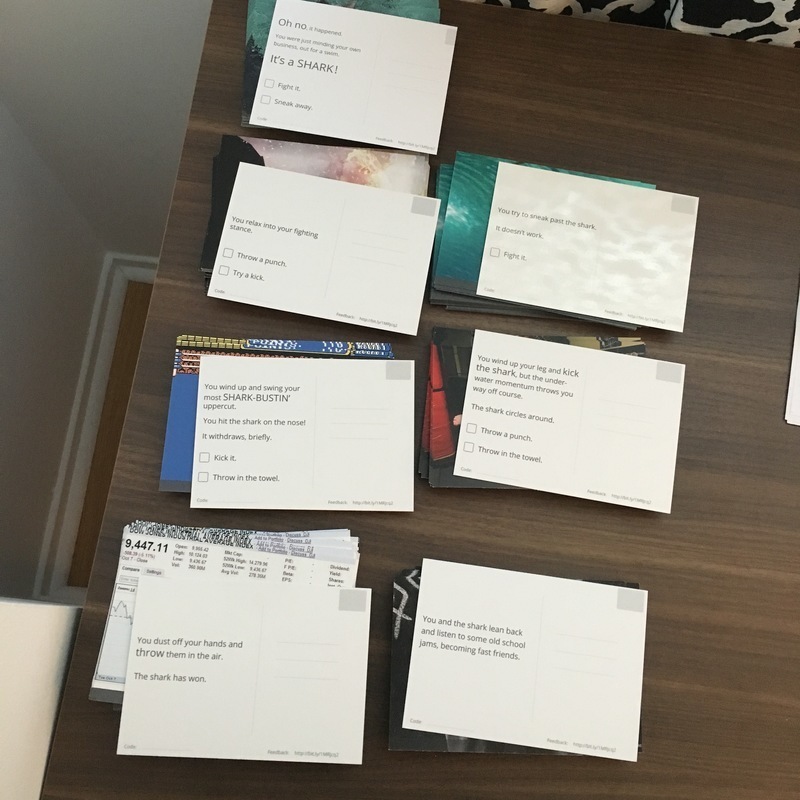 Protip: if you're printing postcards that you want people to write on, don't go glossy finish. I experimented with that finish on one of the postcards (all the others are matte), and while the photo looks really good, filling out responses on it was a pain. I sent them all out, and then waited to see if anyone would get them and participate. 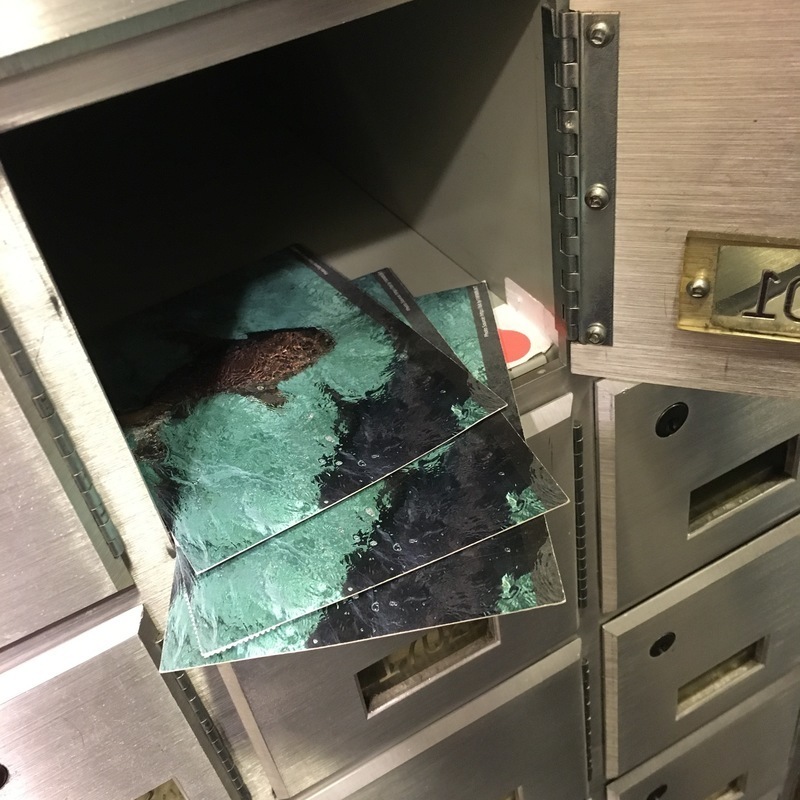 I didn't have to wait long - within a week, I started getting post cards back. "This is amazing, I am intrigued. I don't know how I got involved in this.. if I signed up I forgot, if not then that's even cooler." "I don't know what this is, but I am intrigued! You will receive a postcard back soon!" "Why would I buy this? Is the implication that I'd be paying to play in addition to also paying for the card to return to you? To whom would this actually appeal? To simulate the effect in real time you could buy a Choose Your Own Adventure book, throw a dollar out the window before making your turn, and then waiting a week or two to read the next page." All in all, it turns out this was better as an art project than a business venture. But it was a fun project to work on for a little while.